Shimmering tribal-led bass adventures from Peru’s Dengue Dengue Dengue. Peru’s Dengue Dengue Dengue, known for their stylised electronic spin on cumbia and Atlantic diaspora tropical sounds, are a duo leading the charge in their respective milieu in 2018. As is so often the case with generalising music on a global scale, Dengue Dengue Dengue are tricky to pigeonhole because their sound not only takes influence from a variety of different global strains, but because the style in which they make up their art doesn’t have much of an obvious precedent. So it makes sense that it’s On The Corner Records who are putting out this fantastical journey into the vast expanses of the Peruvian bass ether. Carnival Dubplate comes in at £30, a figure that covers acetate supply, hand cutting, mastering and platform fees, leaving a small margin to the artists and label. While your bank balance may be £30 lighter, you’ll also be one of about 30 people to own this gorgeous hand cut dubplate full of earthy, hypnotising electronic sounds from Peru. OTC bossman Pete with the acetate. Catch him at The Alibi on Aug 3rd. Another curveball offering from a label that continues to surprise, excite and mystify in equal measures. 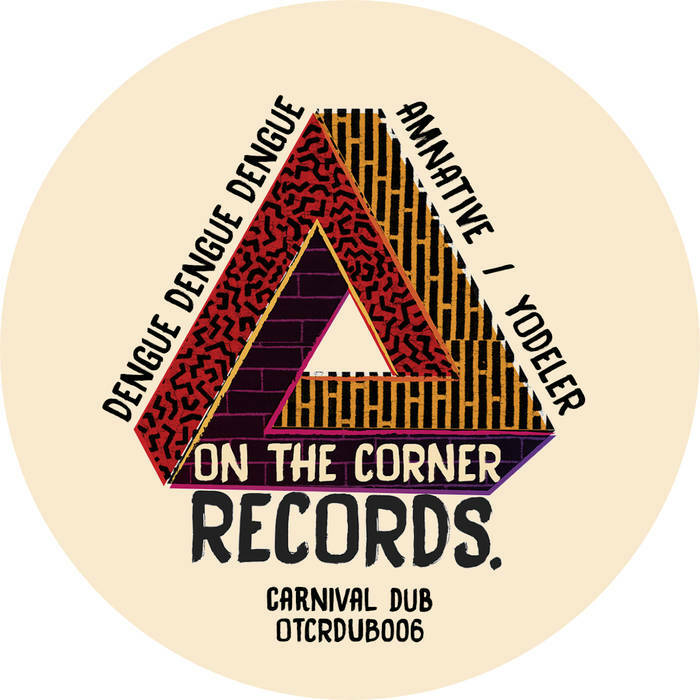 Carnival Dubplate is up for pre-order on Bandcamp today. But probably not tomorrow.